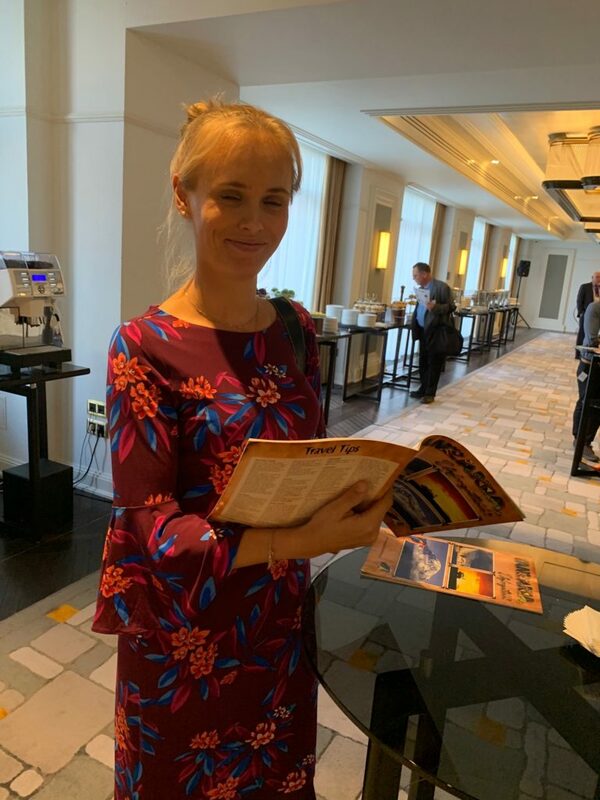 Ewelina Lodzinska was very keen to read up about Tanzania in the Selling Tanzania magazine Derek handed out to all attendees. 60 Polish Tour Operators and Incentive Tour Companies are attending Spotlight in Africa workshop at the Bristol Hotel in the Old Town of Warsaw. We also promoted attendance for KiliFair and buyers showed a lot of interest in attending. The Product Manager for Africa of the biggest Tour Operator in Poland for Africa traveled 4 hours by car from Opelo to specially attend Spotlight. He wants to increase their package range to Tanzania and East -Africa. He took 5 copies of the Selling Tanzania magazine back to his office for his staff to read! !